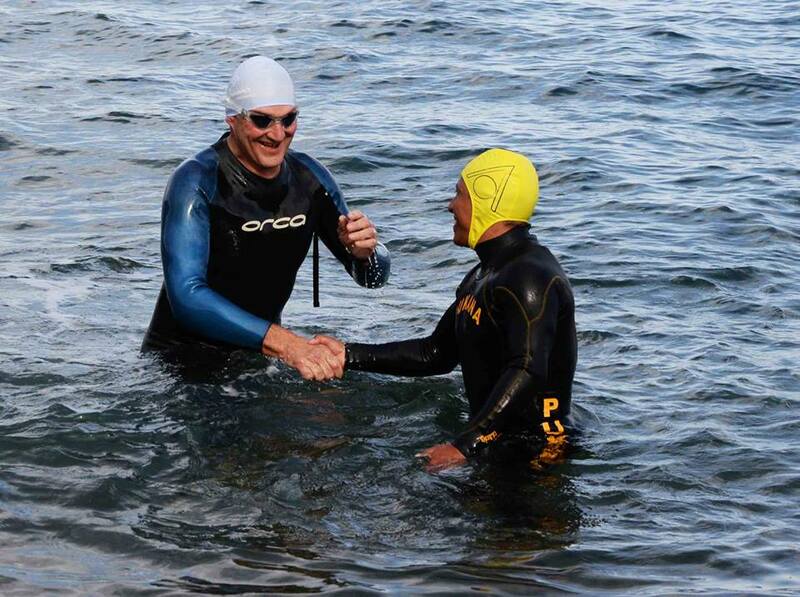 The event went off very successfully, with 101 swimmers who all completed the course. 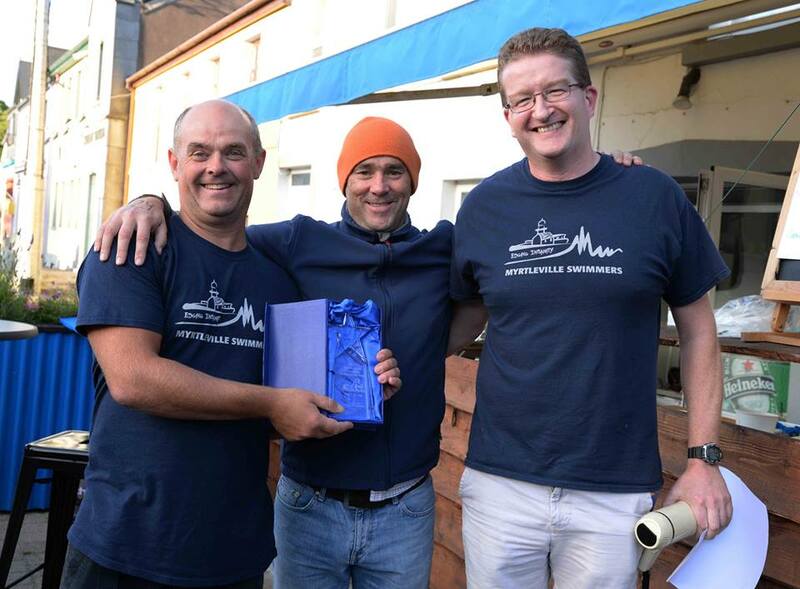 Our thanks again to all of the volunteers, the RNLI, Coast Guard, Gardaí, Funkytown and many individuals who helped with boats, kayaking, course marking, registration, van loading and – the hard bit – unloading, timekeeping, results preparation etc. It’s easy to run an event when there are so many willing helpers. Trevor Woods took first place in a new course record of 24:24. Fantastic swimming. He was ahead of Trevor Malone and Ned Denison in second and third places. 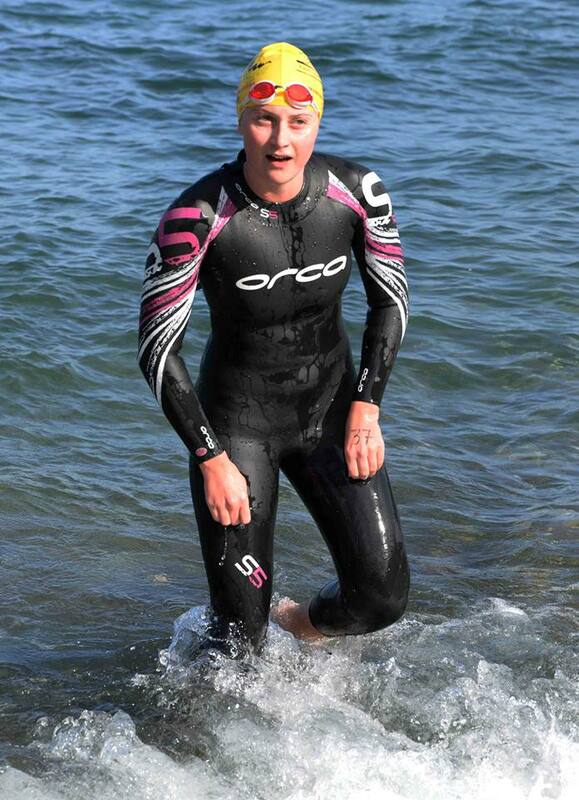 Charley Breen produced a great swim to win the ladies race, ahead of Carol Cashell and Orla Houlihan. As well as these top swims at the head of the field, there were excellent performances right through the 101 swimmers in challenging conditions. With wind and waves to deal with, it wasn’t an easy swim. To see everyone home safely in 53 minutes was fantastic. Special mention to two performances on the day. 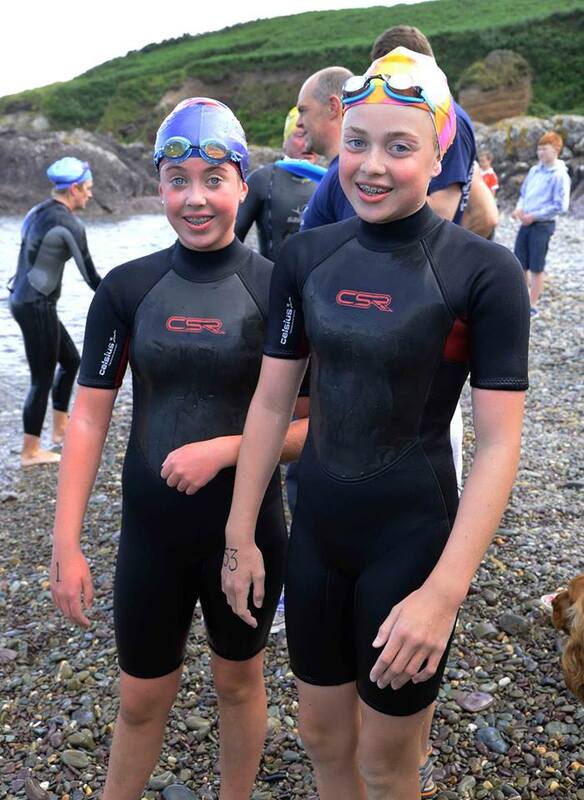 Abby and Drew Lynch – daughters of Bernard and Frank – swam together and finished in the top thirty swimmers. It’s a joy to see this kind of courage and ability in two young girls. Very well done to both of them. Lots more to come from them in the future. The other performance to mention was at the back of the field. 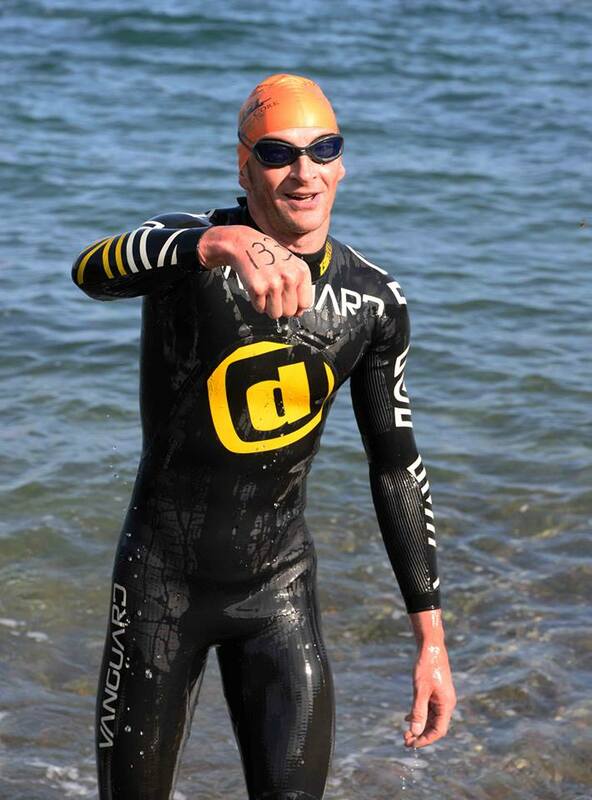 Dan Murphy only learned to swim less than a year ago and has been in Myrtleville continuously all Summer. On Saturday – with support all the way from Carlos Amaja – he completed the course in 53 minutes. It’s a fantastic achievement and should be an encouragement to anyone to take up the sport. Very well done, Dan. Thanks to Siobhan Russell for capturing the day and for all her hard work. All of the photos are online here. 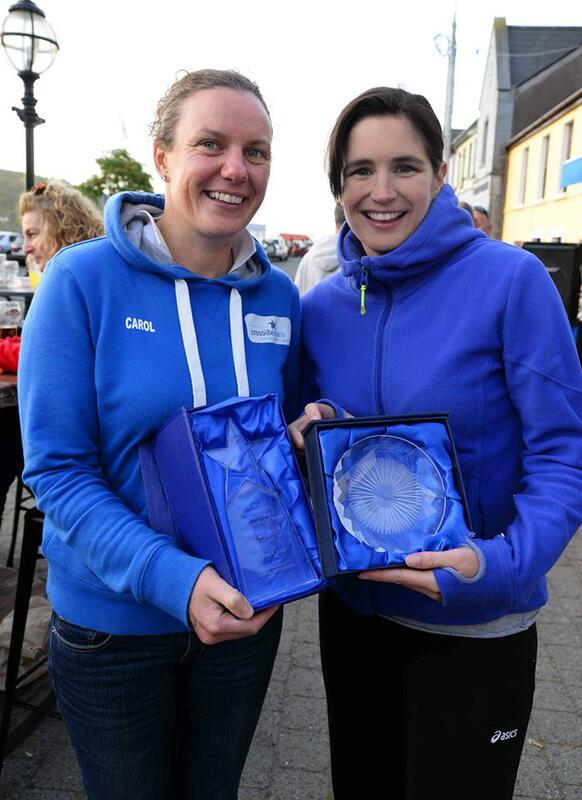 Carol Cashell and Orla Houlihan – 2nd & 3rd Ladies – just as they were at the National Championships last weekend! 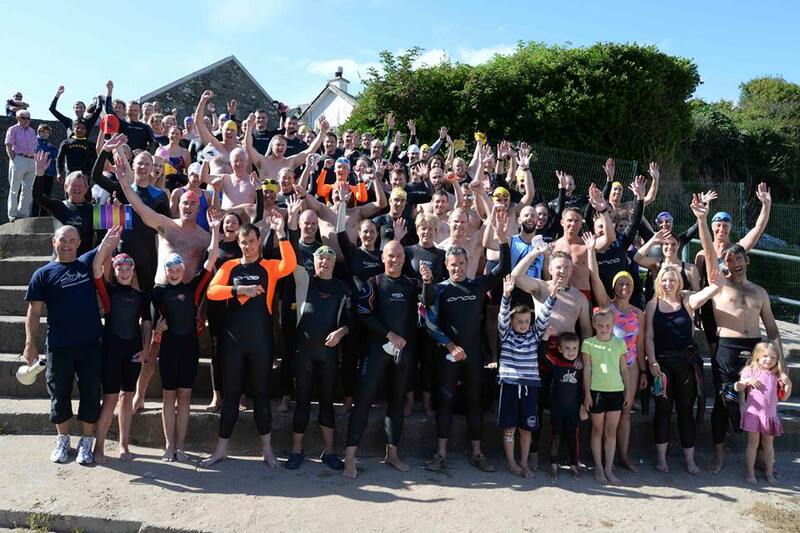 This entry was posted in Events and tagged Open water swimming - Cork, Open water swimming - Cork - Ireland, Open water swimming events, Open water swimming races, RNLI, Sea swimming - Cork, Sea Swimming - Cork - Ireland, Sea swimming events, Sea swimming races by myrtlevilleswimmers. Bookmark the permalink.